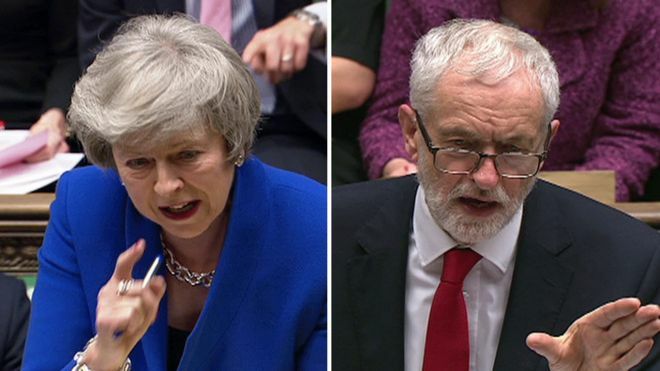 Welcome to NewsDirect411: Jeremy Corbyn Called Theresa May's Administration A "Zombie Government"
called for a general election. Opening a debate on a no-confidence motion, Mr Corbyn said the government "should do the right thing and resign" after Tuesday night's record-breaking defeat on its Brexit legislation. Mr Corbyn's motion is backed by MPs from the SNP, Lib Dems, Plaid Cymru and Green Party. But senior Labour figures accept it is not likely to succeed, as she has the backing of Tory rebels and the DUP's 10 MPs, - who less than 24 hours ago helped inflict a humiliating defeat on her.